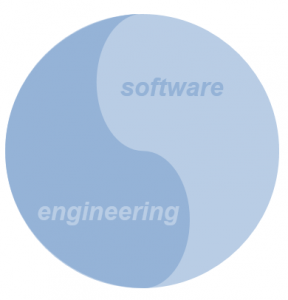 We as well as our customers are convinced, that innovative and efficient software solutions and processes in product development are applied best, when specialists from both fields of expertise – software and engineering – interact directly and are working together within one company. Unlock potentials, Optimize processes – Teraports Engineers support the development of complex products. As a service in deployment as well as consultants in optimizing tools, porcesses and methodology. Core competency lies in digital product development with a strong focus on integration processes (e.g. whole vehicle development). Teraport employees accompany the product from development (concept, package, DMU, qualitymanagement) and manufacturing (Mounting simulation, product integration, quality) to the optimization of maintenance andmservice processes. At home in the third dimension – In its 15 year history Teraport developed to become a specialist in algorithms and solutions centered around the analysis and simulation of 3D-geometry models. Our products help customers where big standards of large competitors leave “white spots” on the map. In addition to these products we realized a large number of individual solutions. The “DMU-Toolkit” a standardized algorithm base ensures these solutions are individual yet fast and efficient in implementation. Beyond that we offer our competence in software tools and methodology in projects filling the role of requirements and specification, development as well as project management in general. Teraport GmbH has its registered office in Munich, Germany. In addition our employees (m/f) can be found wherever our customers are.